Shop for music with the 7digital music app. Choose from over 30 million high quality tracks in our store; download, sync and play your music on the go. The 7digital app syncs your previously purchased 7digital music so that you can listen to songs on the go. Download the app, enter your 7digital user name and password and start syncing your music now! You'll be listening to your music in no time. I'm new to 7digital, what's all this about? 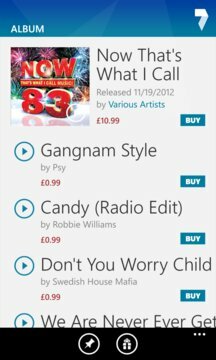 7digital.com is a leading digital music provider which sells high quality MP3s across 42 countries, including the UK, Europe, the US and Canada. 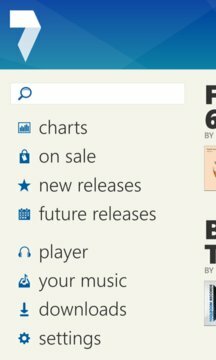 With over 30 million tracks in store, your sure to find what you're looking for. Shop for music on your mobile phone or the web and access all your 7digital music purchases on your phone thereafter!